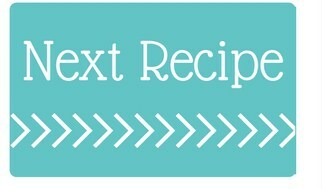 My all-time favorite cookie recipe! 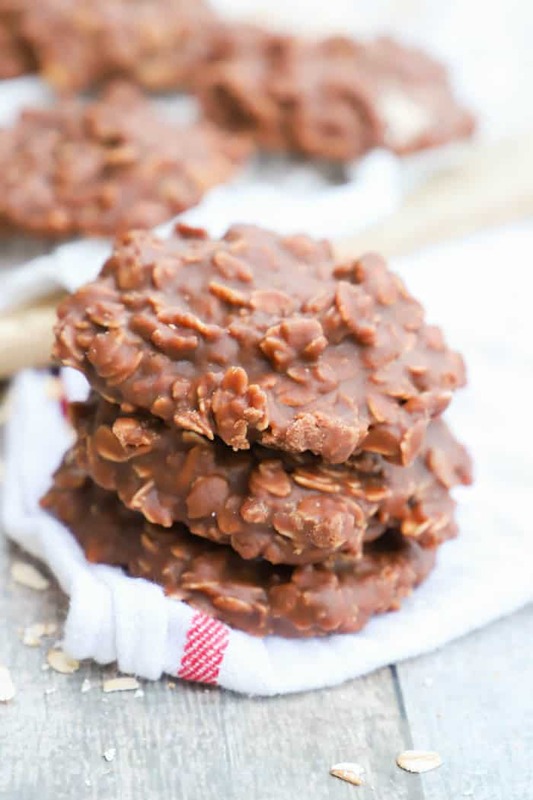 Just a few ingredients and no time in the oven for these delicious No Bake Cookies. 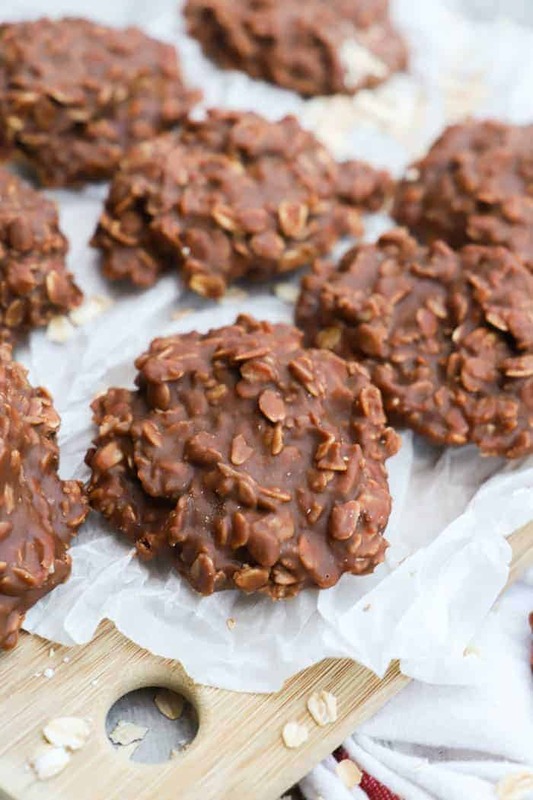 These No Bake Cookies can sometimes have a mind of there own. I have made them for years and was never able to get them right overtimes. Sometimes they would set and sometimes they stayed wet. They still tasted amazing wet but no one wants to have to use a spoon to eat cookies. I tested and tested and I think I have a no-fail recipe. Just follow the easy steps in order and watch the time. I found that in the past I let them boil too long to or not long enough. And even adding in too many ingredients at one time changed the outcome of my cookies. Give them and try and let me know how they turn out for you! When you are done you can check out all my other favorite cookies recipes. Step one: In a large pot add sugar, milk, butter, and cocoa powder. Step two: Slowly bring to a boil while whisking. I usually keep it on medium heat to reach a boil. Step three: Once at a boil allow to boil for one minute I set a timer and stopped the whisking and allow it to just boil. Step four: Once the minutes is over then remove from heat and add in oats. Mix well. Add in peanut butter, mix well. Last, add in vanilla extract and mix well. You don’t want to add everything at the same time and make sure to add them in that order. Step five: Lay out parchment paper on the counter and spoon out the dough into cookie shapes. You want to move from pan to paper quickly so your cookies don’t dry in the pan. Allow setting for 15-30 minutes. A few more dessert that have NO BAKING! Hershey Pie: No baking this pie! It’s simple to make and it tastes AMAZING! Chocolate Fudge: I love fudge, it’s so simple to make and this was is all chocolate! S’mores Muddy Buddies: Muddy buddies are a favorite of mine and this one is loaded with Golden Graham cereal and mini marshmallows. In a large pot add sugar, milk, butter, and cocoa powder. Slowly bring to a boil while whisking. Once at a boil allow to boil for one minutes (I set a timer and stopped the whisking). Remove from heat and add in oats. Mix well. Add in peanut butter, mix well. Last add in vanilla extract and mix well. Lay out parchment paper on the counter and spoon out the dough into cookie shapes. Allow to set for 15-30 minutes. What kind of oats do you recommend? Quick or rolled? 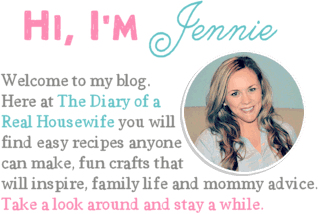 Hi Jeanna, for this recipe I used rolled oats. I just made these for Santa and am amazed at how well they turned out. They turned out perfect!!!! Not too dry, not too wet, just right! Expert recipe!!!!! Yah!! Thank you so much Tari for the review. I have tested and tested and tested with these cookies and I am so happy to hear that they turned out perfect for you! Easiest no bakes I’ve ever made, thanks for the recipe! This is an OLD CLASSIC recipe…my great Grandma and Grandma made these!! When my niece was young it was HER recipe to make..lol! I like to make these to give to anyone after surgery…the oatmeal helps get things moving again! I loooove these!! Yes! My mom made these growing up and they had always been a favorite of mine. That is so kind of you to make these for others, I bet they love it!! Hi! This cookie was always made at Christmas by my family. Starting with my great grandmother in the 30’s. It’s still our favorite! The difference in the batch had to do with humidity sometimes or not cooking enough. Just my thoughts, thanks. That could be true Mary! I even think when my house is to warm they don’t set. I even opened a window last time to make sure they did! haha!! Love these cookies. They were our kids favorites (they called them “chokems”). Dad (the cook) made these all the time for them. They loved them with a tall glass of cold milk (as the cookies dried out, the milk helped them “chokem down”. LOL) Now they’re all grown, with kids of their own and we still get requests for “Chokems”. The grandkids love the name. They snicker whenever they hear/say it. The one thing you should mention in your directions (for the newbys) is that you have to work fast, immediately spooning out the cookies onto the parchment. If not the mixture can set up and harden in the pan. If they are too wet, then they weren’t cooked long enough. If they are dry and crumbly, they were cooked too long. He always boiled his for 2 minutes. Just depends on the area you live in. I love when food sparks great memories like that! That is a great tip and I will add it to the content! Thanks Joyce! These were the best growing up! We called them mud cookies and boiled cookies…. Mud cookies! My kids would love that one, they do look like mud but taste soooo good! This is one of my go to favorites!!! I double the ingredients & then pour them into a sheet cake pan! I spray the pan with Pam! Let set! Then cut them into squares! I freeze them so I can pull them out when wanted! I learned this recipe from a teacher I babysat for when I was 12! I am 69 not but they are still my favorite! I use quick cooking oatmeal & boil 2 minutes when doubling the recipe! Thank you for breaking the recipe down, and what ingredients to add step by step. I have failed at this recipe so many times, but today with your recipe I nailed it!! Thank you. I am so happy to hear that Stacey! These are amazing! I’ve never tried to make no bakes before, I was pleasantly surprised when the came out perfectly!!!! So happy to hear that! Thank you Samantha! Can you use almond butter instead of the peanut butter? Here in Florida humidity can certainly be the culprit just like it is with divinity. 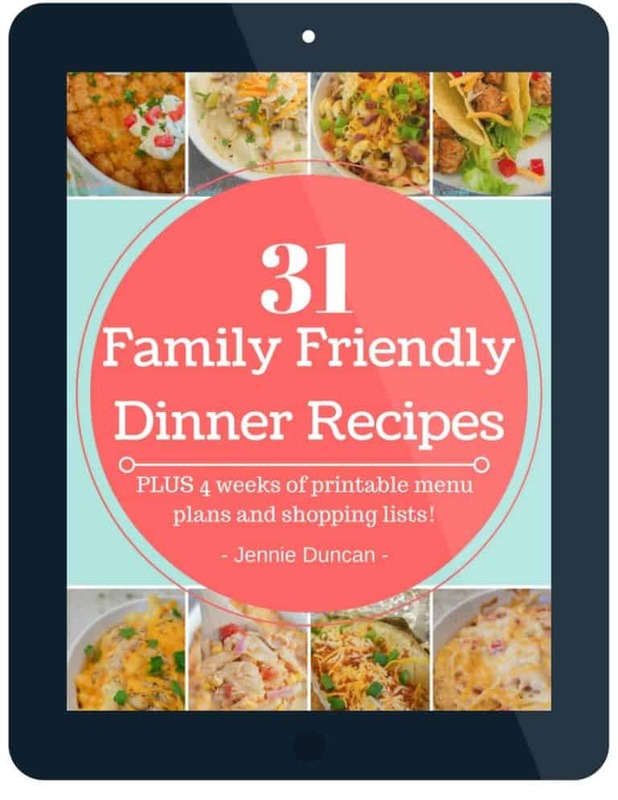 I will try your recipe and definitely follow the right. order on adding the ingredients. Yes! The weather can change them. I sometimes will open my window if my house is getting to warm but I guess in Flordia it’s warm outside also! Ha!! Hi Karen! 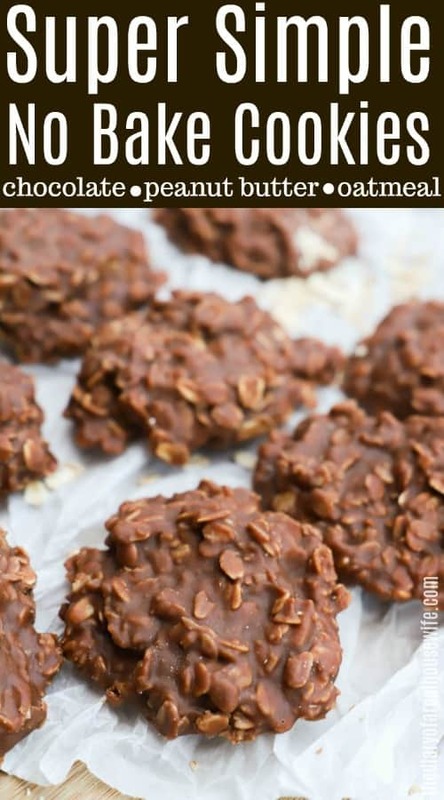 I have yet to try these with almond butter and they can be pretty hard to make cookies so I can’t say if it would or not. If you do give it a try let me know, I would love to hear! Mine aren’t setting. I used the same order for mixing….not side why they aren’t stiffening up. They tasted AMAZING. But Any thoughts for the next time I make? These cookies can be tricky and I found when my house is to warm they will not set. I have even opened a window before to get a breeze!